When Asia Jackson started the #MagandangMorenx campaign, I was instantly all eyes, all ears. Aimed at challenging Western standards of beauty, the 25-year old half-Pinay, half-black model wanted to upend the deeply entrenched practices of colorism rooted from her personal experiences in the Philippines. As someone who grew up indoctrinated to Likas Papaya, an herbal soap made out of an extract from the fruit marketed as a skin whitener, #MagandangMorenx struck a major chord for me. Throughout my childhood up until I was in high school, using Likas Papaya was the mandate from my mom who seemed like she wanted to scrub the brown off of my face (and my sisters’). So we did, religiously. The orange bar of soap was a staple in our household, revered in its promise of magically whiter skin. My mom knew what’s up, as do millions of brown Filipinos hooked on skin whitening creams, lotions, soaps - even whitening pills and treatments. Four hundred years of colonization can do that a group of people, to generations of Indios on the island. In many ways, I’ve come to think of skin whitening not just a shallow or surface practice rooted in vanity - wanting to be whiter has become a social, cultural and economic survival tactic. Light-skinned Filipinos were treated better, were hired more, were more desirable in different aspects of life, were all over the television screens. In a country mired deep in poverty, what is there to do but enmesh yourself in the paths of those who have succeeded, starting with the first thing that people notice - your skin? It wasn’t until I moved to the Bay that I started feeling differently about being a morena. A trip to stores for beauty and body care products in the Philippines meant aisles of whitening lotions and of course, Likas Papaya. What I discovered was that these products did not exist in the aisles of my local Walgreens or CVS (which induced a mild panic) and instead, there were different variations of tanning products. I couldn’t wrap my head around this fact: while millions of brown Filipinos wanted to look white, white people wanted to look brown? This was beyond culture shock - it was a total mindfuck. I stopped using the soap soon after, not just because I couldn’t find any but because I felt strangely affirmed with my brown skin, the same shade as those tanning bottles. I was still boggled by the concept of tanning, as Filipinos walk with umbrellas on the streets to avoid getting darker from the relentless sun. Free from the reins of the mestiza/morena complex, I thought I had achieved some kind of personal liberation. But gurl was I wrong. Just because I was finally ok with being a morena did not mean that institutions around me changed, or that cultural or social perspectives have shifted. What’s worse is that I was becoming increasingly aware of an issue larger, deeper than colorism: racism. That the practice and the embodiment of wanting to be white perpetuated this, and that it only ate away at our psyches manifesting itself as internalized racism. That to be light and to make it in this world was to hate the skin we’re in. And that beyond the Filipino community I grew up in, colorism, shadeism or skin-tone bias was also prevalent in other groups, with other ethnicities, even in other countries. As I think about #MagandangMorenx and the ways it has sparked conversations on multiple social media platforms - even garnering the attention of a major TV news network - literature also comes to mind. So you’re a girl and you’re poor, but at least you’re light-skinned - that’ll save you. Even far back in the Philippines’s colonial history, folks were already thinking about colorism. Jose Rizal embodied this reality in the book that shook Spain’s chains around the country, with the first novel Noli Me Tangere of a 2-part series. The book is rife with references to Indios (Filipinos who were indigenous to the island, darker) and mestizos (those with both Filipino and Spanish ancestry, lighter). Most notable is a character named Doña Victorina, a Filipina who tries to hide her ancestry and pretends that she is mestiza through powder and makeup. Americanah is the story of Nigerian immigrants, a love story between Ifemelu and Obinze that had swept me off my feet as soon as I found out about them. While the story touched on many things like being Nigerian and being a black American, I specifically loved Adichie’s commentary on colorism. Back in Nigeria, Ifemelu’s best friend Ginika was considered the “prettiest in the class” with her light skin, and people even thought that she’d end up with Obinze. In the U.S., Ifem noticed the ways colorism played a huge part on daily existence, that she even wrote a love letter to Obama for loving a darker Michelle. Morrison’s novel centers around three black girls in Lorain, Ohio right after the Great Depression. Sisters Claudia and Freida befriend Pecola Breedlove, a girl wishing for blue eyes which symbolizes the extreme opposite of her financially and emotionally unstable life at home. In the book, Pecola was called the “ugly girl,” bullied and ignored. A light-skinned girl from her school also makes fun of her. This novel is a hard but necessary read on how deeply colorism and racism affects a young soul, something that Morrison wanted the world to know. “How do you wash the brown away?” was Al-Solaylee’s question when he was younger, after discovering the whiteness (which translated to beauty) of Mark Lester in Oliver. 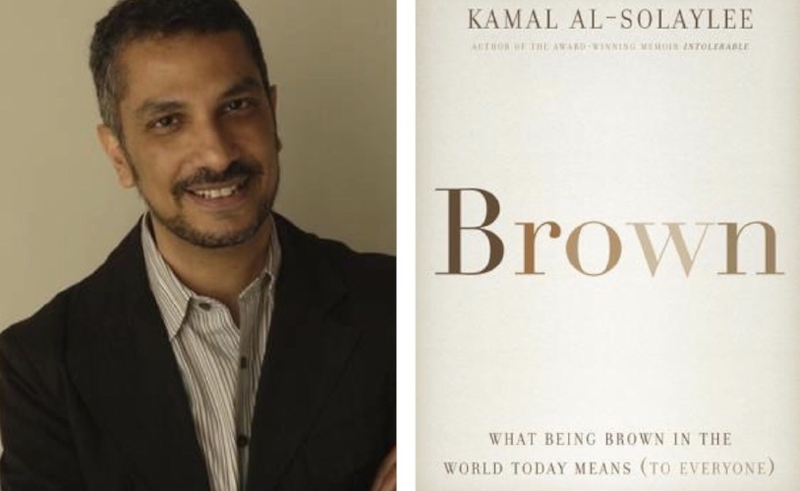 That became a catalyst for how he understood the world, as he started noticing that being light-skinned was aspirational for both rich and poor folks in his home country, Egypt. Al-Solaylee weaves a narrative of class, race and colorism, how people from Trinidad, the Philippines, Sri Lanka, Qatar, United States, even in France move and transcend borders while being different shades of brown. This book is an anthology of poems and essays by Webb who founded the popular blog Colorism Healing. It features the poetry and essay winners of the 2017 Colorism Healing Writing Contest, something that Webb started doing as a way to get more voices talking about colorism published. CH was founded by Webb as a way to raise consciousness about colorism and it has continued to provide valuable resources to its community on issues of colorism and racism. The anthology features essays like Hues of Hatred and Healing and poems like My Skin is Not My Sin.